I LIKE TotallyTarget on FB!! I already LIKE you on Facebook; would LOVE to win! Yes please!! Thanks for the giveaway! Hope I win the gift card. Thanks so much for the chance to win! I LOVE the puppies! 🙂 Too Cute! I check this site 3x a day, it is my favorite! Wow! What a great giveaway. I would be honored to win. Would love to win this for my family. Thxs 4 the oppotunity & HAPPY EASTER!! Thank you for this, and Happy Easter! Thank you for another chance to win!!!! TARGET!! I like you on Facebook and I like your website. I’m amazed by some of the deals you have helped me score. Thanks! Love your page, thanks for the hard work! 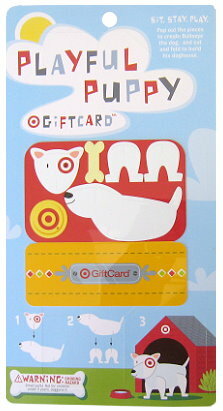 I love target and I love your giveaways!! Sounds good, I would love one. I of course Like TT on FB! Thank you for being so great!!! Thanks!!!! Target—love me some of you.. I hope I win; thank you for the opportunity! I love ya on Facebook!